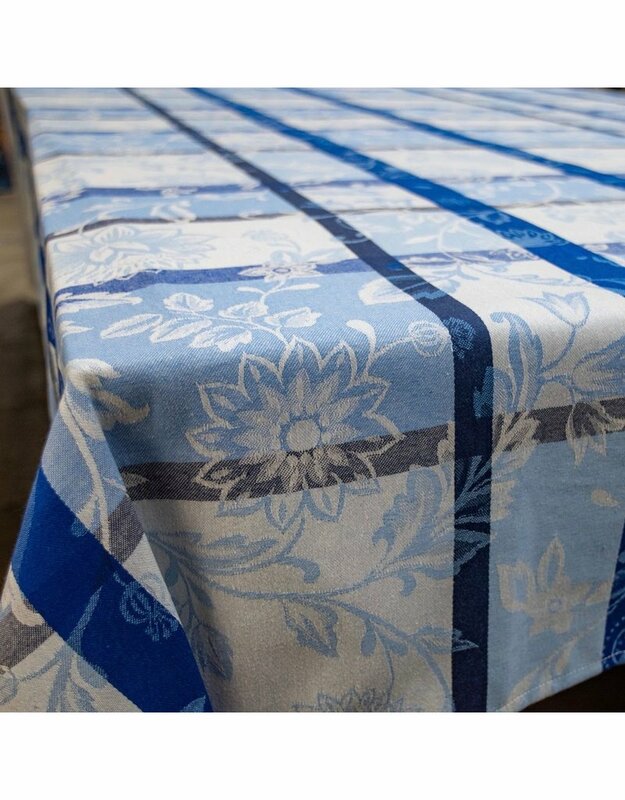 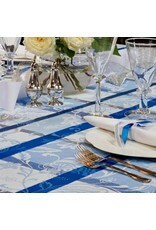 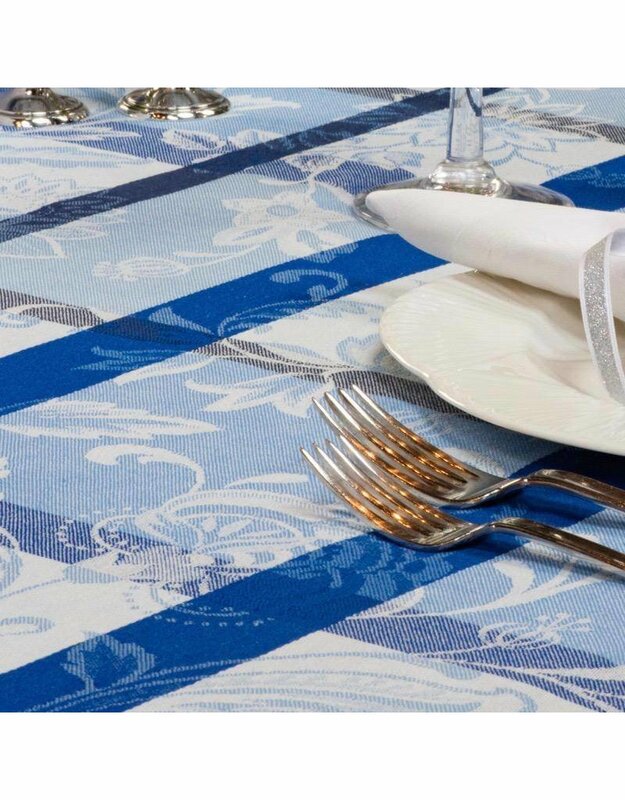 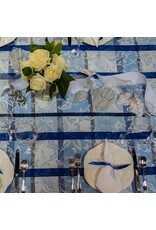 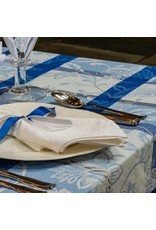 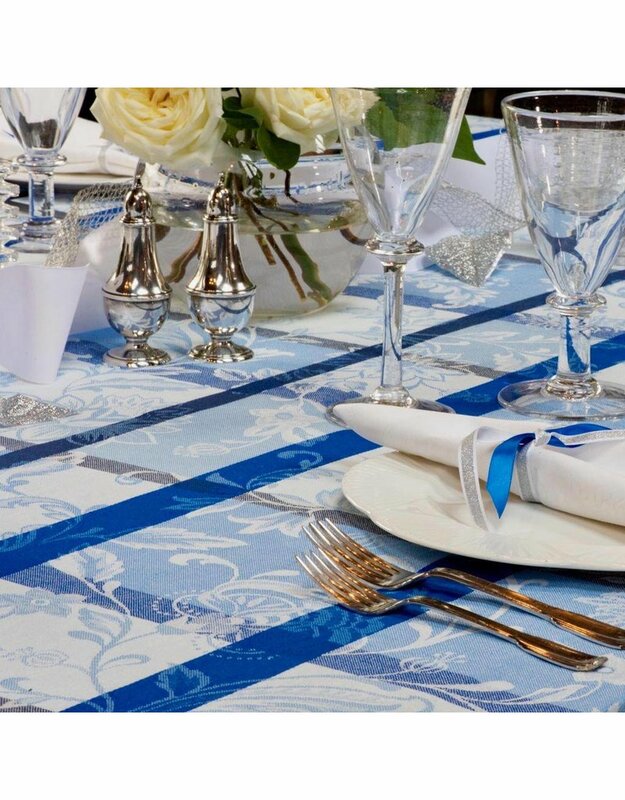 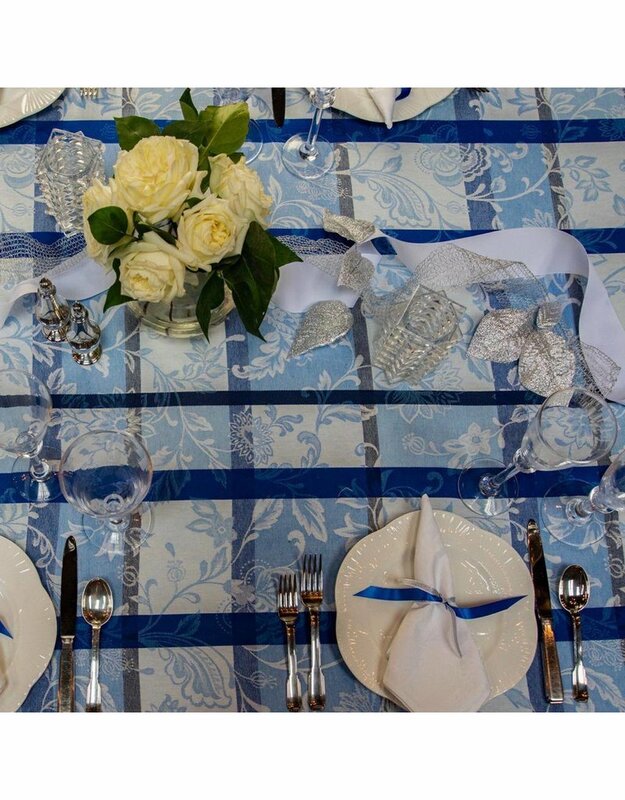 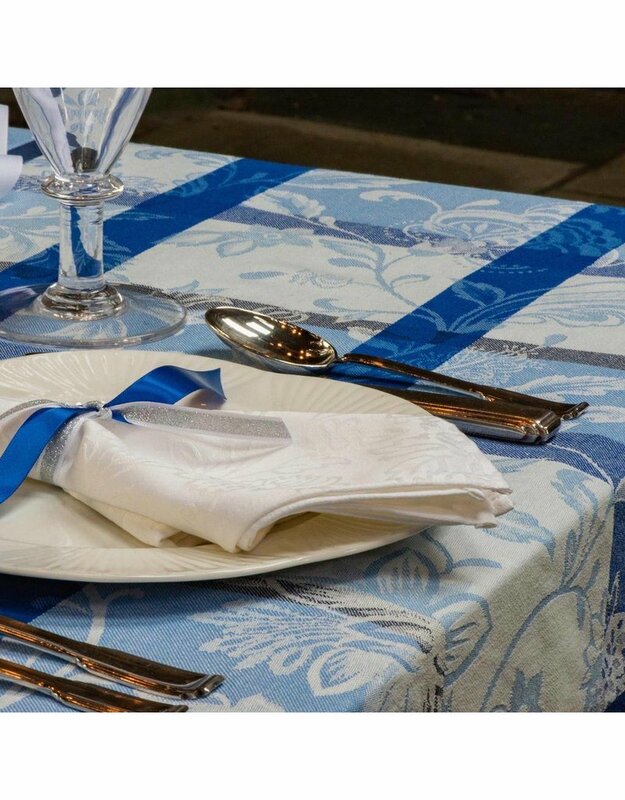 Our Florentine tablecloth is a woven pattern featuring a blue grid overlaying a delicate white floral design. 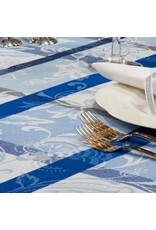 This lovely jacquard drapes beautifully. 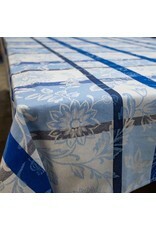 The soft cotton fabric has been treated to be stain resistant with laundering.